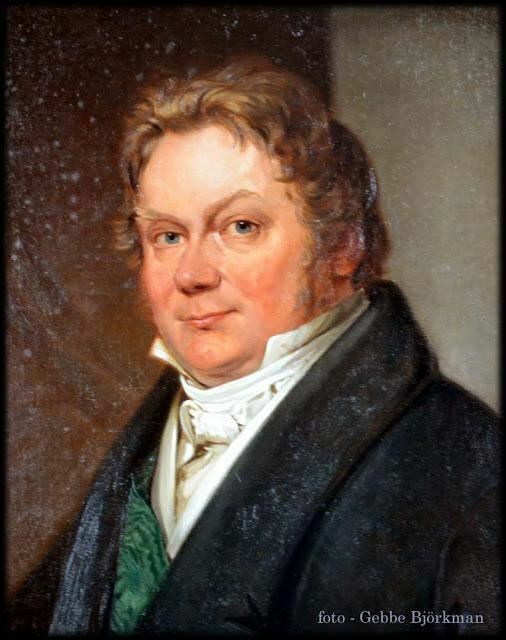 Baron Jöns Jacob Berzelius ([jœns ˌjɑːkɔb bæɹˈseːliɵs]; 20 August 1779 – 7 August 1848), named by himself and contemporary society as Jacob Berzelius, was a Swedish chemist. Berzelius is considered, along with Robert Boyle, John Dalton, and Antoine Lavoisier, to be one of the founders of modern chemistry. Berzelius began his career as a physician but his researches in physical chemistry were of lasting significance in the development of the subject. He is especially noted for his determination of atomic weights; his experiments led to a more complete depiction of the principles of stoichiometry, or the field of chemical combining proportions. In 1803 Berzelius demonstrated the power of an electrochemical cell to decompose chemicals into pairs of electrically opposite constituents. Berzelius's work with atomic weights and his theory of electrochemical dualism led to his development of a modern system of chemical formula notation that could portray the composition of any compound both qualitatively (by showing its electrochemically opposing ingredients) and quantitatively (by showing the proportions in which the ingredients were united). His system abbreviated the Latin names of the elements with one or two letters and applied superscripts to designate the number of atoms of each element present in both the acidic and basic ingredients. Berzelius himself discovered and isolated several new elements, including cerium (1803) and thorium (1828). Berzelius’s interest in mineralogy also fostered his analysis and preparation of new compounds of these and other elements. The mineral berzelianite was discovered in 1850 and named after him. He was a strict empiricist and insisted that any new theory be consistent with the sum of chemical knowledge. He developed classical analytical techniques, and investigated isomerism and catalysis, phenomena that owe their names to him. 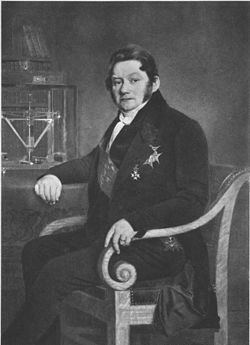 He became a member of the Royal Swedish Academy of Sciences in 1808 and served from 1818 as its principal functionary, the perpetual secretary. He is known in Sweden as "the Father of Swedish Chemistry". Berzelius Day is celebrated on 20 August in honour of him. Born at Väversunda in Östergötland in Sweden, Berzelius lost both his parents at an early age. Relatives in Linköping took care of him, and there he attended the school today known as Katedralskolan. 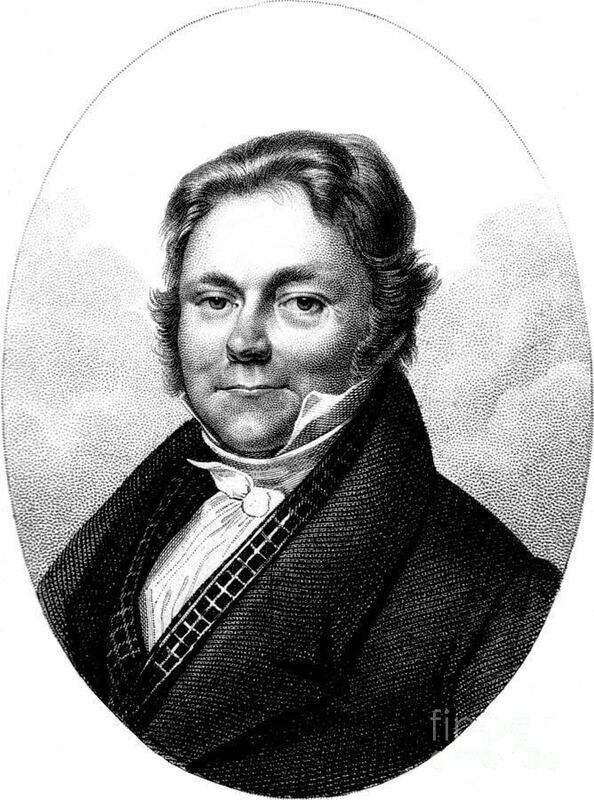 He then enrolled at Uppsala University where he learned the profession of medical doctor from 1796 to 1801; Anders Gustaf Ekeberg, the discoverer of tantalum, taught him chemistry. He worked as an apprentice in a pharmacy and with a physician in the Medevi mineral springs. During this time he conducted analysis of the spring water. For his medical studies he examined the influence of galvanic current on several diseases and graduated as M.D. in 1802. He worked as physician near Stockholm until the mine-owner Wilhelm Hisinger discovered his analytical abilities and provided him with a laboratory. Between 1808 and 1836, Berzelius worked together with Anna Sundström, who acted as his assistant. In 1808, he was elected a member of the Royal Swedish Academy of Sciences. At this time, the Academy had been stagnating for several years, since the era of romanticism in Sweden had led to less interest in the sciences. In 1818, Berzelius was elected the Academy's secretary, and held the post until 1848. During Berzelius' tenure, he is credited with revitalising the Academy and bringing it into a second golden era (the first being the astronomer Pehr Wilhelm Wargentin's period as secretary from 1749 to 1783). He was elected a Foreign Honorary Member of the American Academy of Arts and Sciences in 1822. In 1827 he became correspondent of the Royal Institute of the Netherlands, and in 1830 associate member. In 1837, he was elected a member of the Swedish Academy, on chair number 5. Not long after arriving to Stockholm he wrote a chemistry textbook for his medical students, from which point a long and fruitful career in chemistry began. In 1813 he published an essay on the proportions of elements in compounds. The essay commenced with a general description, introduced his new symbolism, examined all the known elements, included a table of specific weights and finished with a selection of compounds written in his new formalisation. In 1818 he compiled a table of relative atomic weights, where oxygen was set to 100, and which included all of the elements known at the time. This work provided evidence in favour of the atomic theory proposed by John Dalton: that inorganic chemical compounds are composed of atoms combined in whole number amounts. 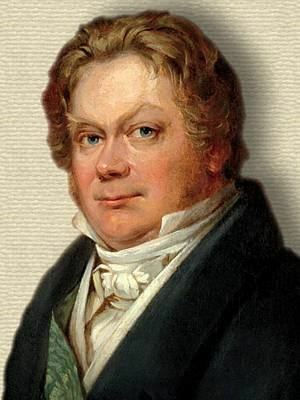 In discovering that atomic weights are not integer multiples of the weight of hydrogen, Berzelius also disproved Prout's hypothesis that elements are built up from atoms of hydrogen. In order to aid his experiments, he developed a system of chemical notation in which the elements were given simple written labels—such as O for oxygen, or Fe for iron—with proportions noted by numbers. This is the same system used today, the only difference being that instead of the subscript number used today (e.g., H2O), Berzelius used a superscript (H2O). Berzelius is credited with identifying the chemical elements silicon, selenium, thorium, and cerium. Students working in Berzelius's laboratory also discovered lithium and vanadium. Berzelius is credited with originating the chemical terms "catalysis," "polymer," "isomer," and "allotrope," although his original definitions differ dramatically from modern usage. As an example, he coined the term "polymer" in 1833 to describe organic compounds which shared identical empirical formulas but which differed in overall molecular weight, the larger of the compounds being described as "polymers" of the smallest. At this time the concept of chemical structure had not yet been developed so that he considered only the numbers of atoms of each element, and viewed for example glucose (C6H12O6) as a polymer of formaldehyde (CH2O) contrary to modern usage. 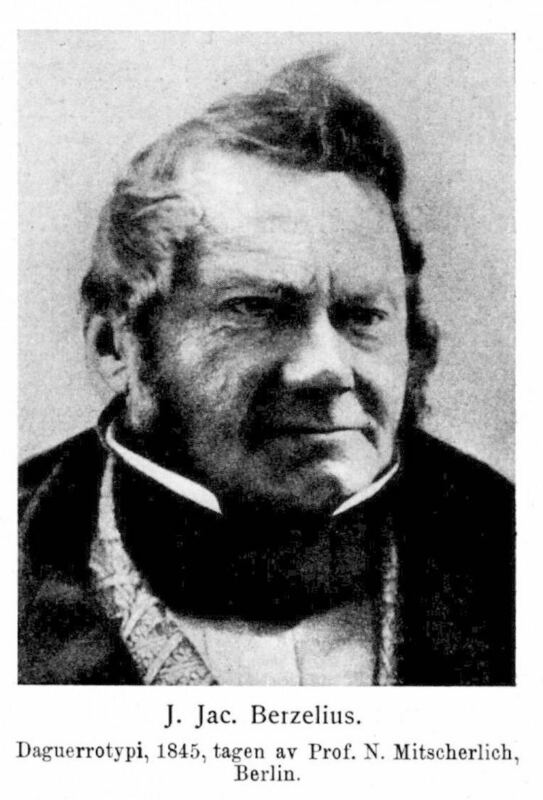 Berzelius also developed electrochemical dualism. Berzelius was the first person to make the distinction between organic compounds (those containing carbon), and inorganic compounds. In particular, he advised Gerardus Johannes Mulder in his elemental analyses of organic compounds such as coffee, tea, and various proteins. The term protein itself was coined by Berzelius, after Mulder observed that all proteins seemed to have the same empirical formula and came to the erroneous conclusion that they might be composed of a single type of very large molecule. Berzelius proposed the name because the material seemed to be the primitive substance of animal nutrition that plants prepare for herbivores. Berzelius stated in 1810 that living things work by some mysterious "vital force", a hypothesis called vitalism. Related to this, he proposed that compounds could be distinguished by whether they required any organisms in their manufacture (organic compounds) or whether they did not (inorganic compounds). However, in 1828, Friedrich Wöhler accidentally obtained urea, an organic compound, by heating ammonium cyanate. Contrary to a widespread myth, it was not the end of this vitalist hypothesis, let alone vitalism in general. But in 1845, Adolph Wilhelm Hermann Kolbe prepared acetic acid from inorganic precursors, and in the 1850s, Marcellin Berthelot synthesized numerous organic compounds from inorganic precursors, providing abundant counterevidence. The Fischer–Tropsch process for making hydrocarbons, the Miller–Urey experiment and other prebiotic-chemistry experiments, and biosynthesis pathways provide even more counterevidence. 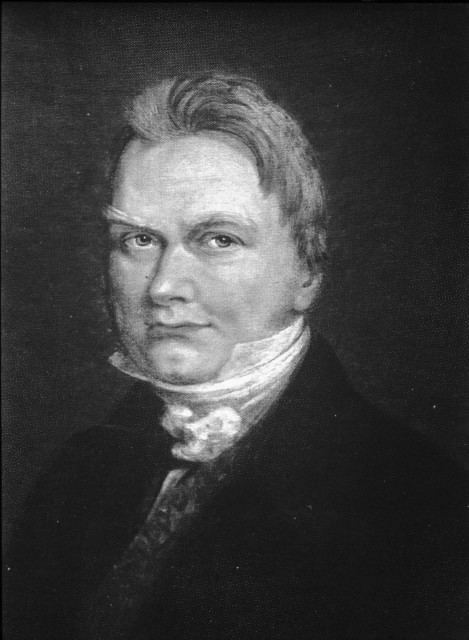 Berzelius was a prolific correspondent with such leading scientists as Gerardus Johannes Mulder, Claude Louis Berthollet, Humphry Davy, Friedrich Wöhler and Eilhard Mitscherlich. After denying that chlorine is an element (which was proposed by Humphry Davy in 1810) for quite some time, the dispute was ended by the finding of iodine in 1812. 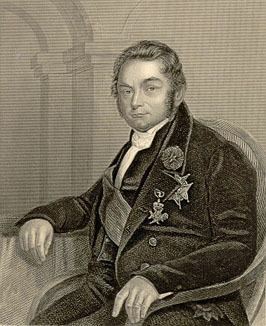 In 1818 Berzelius was ennobled by King Carl XIV Johan; in 1835, at the age of 56, he married Elisabeth Poppius, the 24-year-old daughter of a Swedish cabinet minister, and in the same year was elevated to friherre. Berzeliusskolan, a school situated next to his alma mater, Katedralskolan, is named for him. In 1939 his portrait appeared on a series of postage stamps commemorating the bicentenary of the founding of the Swedish Academy of Sciences. He died on 7 August 1848 at his home in Stockholm, where he had lived since 1806.